Harley-Davidson is using the 74th Annual Daytona Bike Week to celebrate the start of the riding season. It’s doing so by hosting a number of events throughout bike week, March 7-14, from 9am – 5pm at Daytona International Speedway. The Speedway also serves as the only place to see the 2015 motorcycle line-up, and participate in product riding demos that include the Harley-Davidson Road Glide, Harley-Davidson Ultra Limited Low, Harley-Davidson Street, Harley-Davidson Freewheeler and 16 customized models. A special reveal of the 2015 CVO Street Glide in the new Carbon Crystal with Phantom Flames paint is planned, and there will demos of some of the latest General Merchandise products. Project LiveWire JUMPSTART – Harley-Davidson embodies the spirit of American Reinvention with Project LiveWire – the first electric Harley-Davidson motorcycle. Making its first appearance in Daytona, Project LiveWire brings innovation to the street to get feedback from customers on what they expect from an electric motorcycle that is authentic Harley-Davidson. The Project LiveWire JUMPSTART and display will be open daily during show hours. 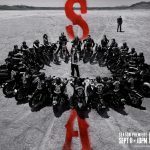 FX’s Sons of Anarchy motorcycle on display – A motorcycle from FX’s Sons of Anarchy will be setup for photo opportunities. This is a unique opportunity for customers to get pictures of themselves sitting on product that starred in this iconic entertainment property. On March 7 and 8, Kim Coates, known as “Tig Trager” on Sons of Anarchy, will be on site signing autographs from noon – 3 p.m. Wounded Warrior Project in H-D area – In November, Harley-Davidson announced a new partnership with Wounded Warrior Project (WWP) to help improve the lives of service men and women living with post-traumatic stress disorder (PTSD). A WWP tent will be in the Harley-Davidson area, and a special Operation Personal Freedom Bike Week T Shirt will be sold to benefit the organization’s mission: to honor and empower Wounded Warriors. Harley-Davidson Museum previews upcoming Willie G. Davidson summer exhibit – Willie G’s 1983 FXDG Disc Glide Prototype is being displayed in the Harley-Davidson Museum area at the Speedway. This prototype was customized by Willie G. Davidson and ridden to the 1982 Daytona rally to promote the release of the 1983 FXDG limited-edition model. 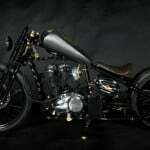 Now part of Willie G.’s private collection, this motorcycle is just one of the unique personal treasures that will be on display in the summer 2015 exhibition Willie G. Davidson: Artist, Designer, Leader, Legend opening June 13 at the Harley-Davidson Museum in Milwaukee. 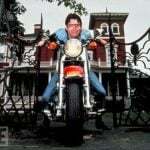 Visit h-dmuseum.com for more information. Harley-Davidson’s Speedway location is also where official Willie G. and H.O.G.® merchandise can be purchased, and it will be the only H.O.G. pin stop at the rally. Other Harley-Davidson activities planned include the MDA Women’s Ride on March 10, an H-D customization motorcycle showcase on March 11and daily police skills shows. A special H.O.G. Rally Point area, and H-D Road House Custom Meats sampling, will be available for H.O.G. members and one guest 11:30 a.m.-1 p.m. every day. 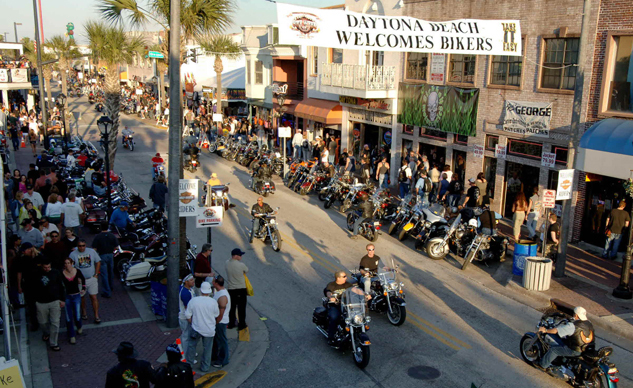 For more information about Harley-Davidson Daytona Bike Week events, visit h-d.com/Daytona.